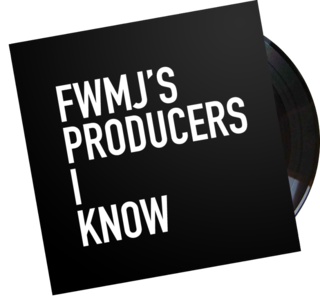 First of all shouts to my dude Frank (FWMJ) who started the whole Rappers I Know movement. I’ve been sending beats from my producers over to Frank for the past couple of years and we’ve had some great conversations about this rap game. I guess it kinda fell into place when I said to him, when you gonna get this Producers I Know site up….you know it’s gotta happen!!! Frank’s reply was….Word!!! So building on to my push for the producer I manage “Pete Cannon” and the others who I shop beats for I decided it was time to gel the two sites together and with Franks blessing we are making it happen, he has always been amazed at the talent from the producers I link him with. Hopefully the site will progress into a source of knowledge and advice for producers who are seeking to get their beats heard not just by rappers but by industry A&R’s. So as an introduction and to kick off the site I thought I would like to introduce you to the kinda talent I have been pushing beats for. This entry was posted on April 10, 2010 by producersiknow. It was filed under Jay Large Presents... and was tagged with apatight, dockmini, fwmj, hip hop producers, jay large, jeekay, jon phonics, naive, pete cannon, producers i know, rappers i know, uk hip hop producers. Finally a site for producers, Good work peeps!